Three relationships are the focus of this episode: Han Jie and Fang Xiao Rou continues going strong; Wang Mai Zhi has a love rival coming in looking to take Wei Qi Zhen away from him; and Jiang Pei Ying continues to contend with the unwanted attention of two of her admirers, Wen Zhen Yu and Li Zhi Chao. The plan to stop Fang Xiao Rou from making it to her evening date with Han Jie doesn’t go entirely to Chen Meng Chen’s plan when Fang Xiao Rou brings Chen Meng Chen to take a ride to the hospital in Han Jie’s car. Chen Meng Chen attempts to turn back on her plan: she tells Han Jie and Fang Xiao Rou she no longer has a stomachache—one that isn’t out of the ordinary and she has medicine for it. However, Han Jie insists on getting her to see the doctor—concerned such a regular occurrence needs to be checked out. 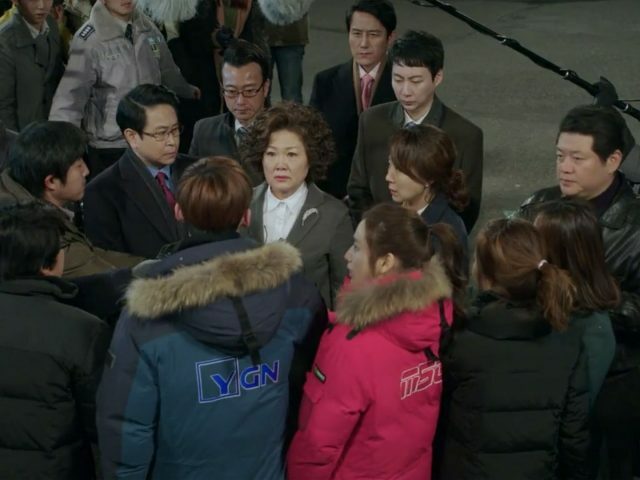 Unable to come up with anything to go against Han Jie’s logic, uncomfortably Chen Meng Chen gets into Han Jie’s car, accompanied to the hospital by not only Fang Xiao Rou, but also Han Jie. Upon arrival at the hospital’s entrance, quick thinking has Chen Meng Chen get back on track with her plan. 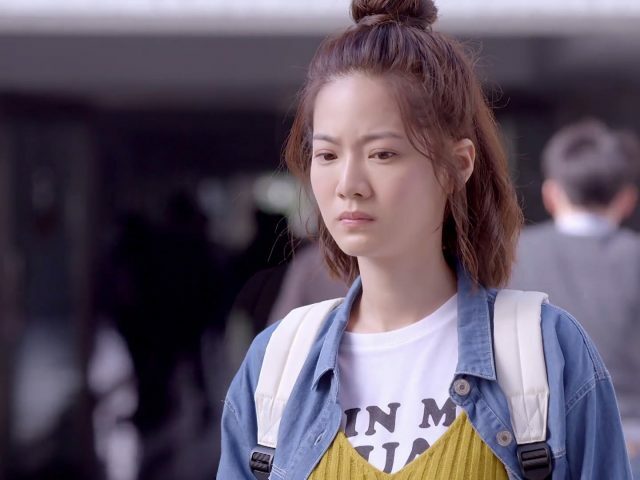 Whilst Han Jie is still at the car and Fang Xiao Rou accompanies her up the flight of stairs towards the entrance door to the hospital, Chen Meng Chen asks Fang Xiao Rou to be the only one to accompany her. Han Jie’s presence would make it embarrassing, she explains to Fang Xiao Rou. Fang Xiao Rou understands. She sees to Chen Meng Chen’s wish and tells Han Jie they will have to cancel their date plans. 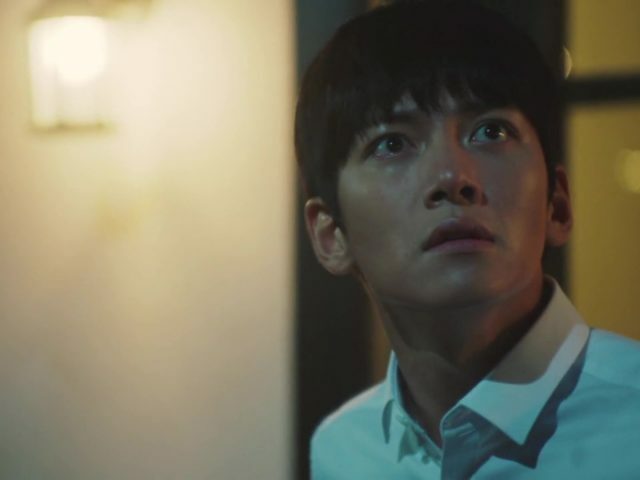 Han Jie is seemingly suspicious—if not then he is simply reluctant to leave—when he asks Fang Xiao Rou if Chen Meng Chen had truly said what she had told him. With an affirmative answer from Fang Xiao Rou, Han Jie agrees to leave and doesn’t accompany Chen Meng Chen to the hospital. Chen Meng Chen’s plan end in failure even when she manages to have only Fang Xiao Rou accompany her into the hospital. Han Jie returns back to the hospital to give Fang Xiao Rou food he had bought for her to eat. Han Jie finds Fang Xiao Rou running through the hospital corridor and gets informed that Chen Meng Chen disappeared after she went to register her to see a doctor. 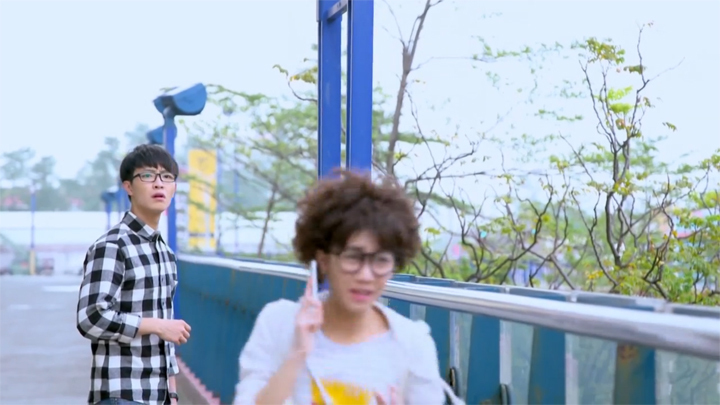 Han Jie joins in on the search for Chen Meng Chen and he is the one to find Chen Meng Chen. Chen Meng Chen is at the rooftop, ending the phone call from her mum, perfectly fine. Chen Meng Chen is shocked to find Han Jie before her. She tells Han Jie her reason for doing what she had done when she isn’t able to convince Han Jie she simply didn’t need to see a doctor when he accuses her of playing games: she didn’t want him and Fang Xiao Rou to go on a date; she wants Fang Xiao Rou to leave him so he isn’t forced to give up Olives House. His place is to be on the international stage as a star chef. Han Jie isn’t impressed. He calls Chen Meng Chen immature and self-righteous. A person who blindly worships to the point of hurting not only themselves, but also those who care about them is unfit to become a chef who genuinely loves cooking. When Chen Meng Chen defends herself and asks if liking and worshipping him is wrong, Han Jie’s words are knife sharp: he doesn’t need a student whose worship and like turns them into such a terrible person. Chen Meng Chen is hurt by his cutting words: she tells him she will leave Si Ping before running off upset. While Han Jie is happy to let Chen Meng Chen be and satisfied with the harsh method he had used to handle Chen Meng Chen, Fang Xiao Rou wishes to find a gentler way to keep Chen Meng Chen in check. 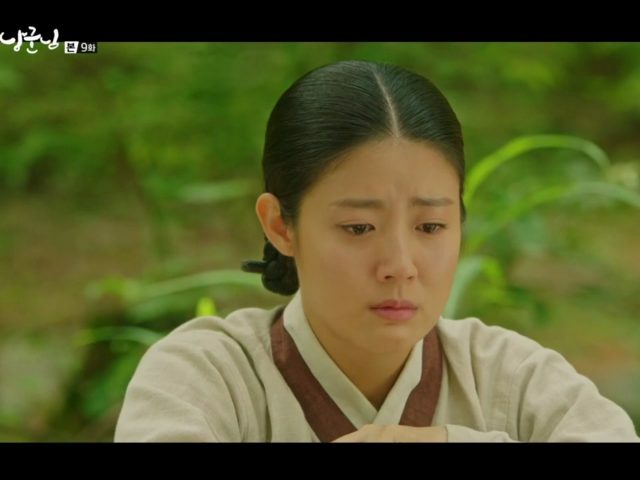 When Fang Xiao Rou first finds Chen Meng Chen sitting at a seat outside the hospital in tears, Chen Meng Chen is prickly: she ignores the envelope of tissues Fang Xiao Rou offers her and returns the bottle of milk Fang Xiao Rou places into Chen Meng Chen’s hand—food to fill her stomach because she worried that it would truly be in pain if nothing fills it after a long day. Chen Meng Chen tells Fang Xiao Rou to not concern herself with her because she’s decided to leave Si Ping and she’s not her teacher anymore. Chen Meng Chen then calls Fang Xiao Rou a teacher who’s pretending to be a good one when Fang Xiao Rou expresses how she doesn’t want her to leave Si Ping. Fang Xiao Rou begins to make headway to subduing this difficult student when she tells Chen Meng Chen that she doesn’t hate her at all after Chen Meng Chen expresses how it’s impossible for her to not also hate her when all the other students hate her and now Han Jie as well. Fang Xiao Rou gets closer to bringing Chen Meng Chen to her side when she tells Chen Meng Chen she understands how she feels about hating her ruining the dream of the person they worship when she reveals to Chen Meng Chen her own experience of this. This experience being her hate towards the student who ruined her father’s cooking and teaching career. 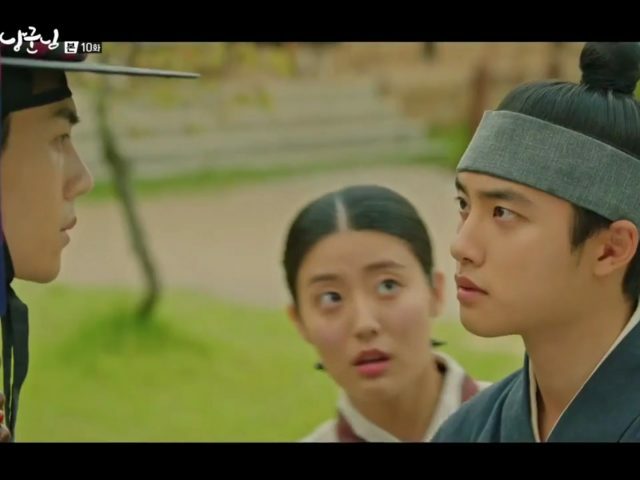 The telling of this experience of Fang Xiao Rou’s has Chen Meng Chen curious with the outcome: do you still hate this person who ruined the dream of the person you worship? "No. Not only do I not hate him, I even love him very much." Where Fang Xiao Rou hadn’t gone into specifics of the people she was talking about when telling about this experience of hers, she goes on to reveal to Chen Meng Chen that the person she worships is her dad and she expresses how thankful she is towards him for preventing her from making a bigger mistake at an age where people are impulsive by not telling her who it was that had ruined her dad’s dream. Fang Xiao Rou reins Chen Meng Chen in when she suggests a smarter way for Chen Meng Chen to approach her dream she has with her like towards Han Jie. Fang Xiao Rou challenges Chen Meng Chen to compete against her and prove that she is deserving of being by Han Jie’s side by qualifying to represent Si Ping in the national high school cooking competition. Chen Meng Chen appears to completely forget about being upset over Han Jie when she is animated and full of arrogant confidence: beating out her fellow classmates is too easy. She tells Fang Xiao Rou she will represent Si Ping and compete in the competition. The matter of Chen Meng Chen takes up all of the evening and Han Jie and Fang Xiao Rou’s date gets rescheduled to taking place on another day. The location Han Jie brings Fang Xiao Rou to blindfolded has Fang Xiao Rou extremely uncomfortable. It is in Han Jie’s room. She makes a suggestion to spend it elsewhere—head outside; it’s great weather outside. Fang Xiao Rou heads to the door. Han Jie blocks Fang Xiao Rou. He slides the door shut and traps her between it and him. “You’re already here in my room already. Fang Xiao Rou, do you think I will let go so easily? Didn’t you want to know me? Didn’t you want to know what kind of a guy I am? 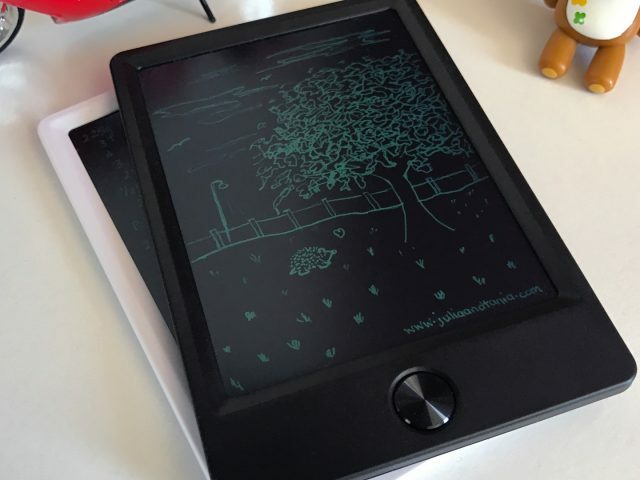 Right now, I’m going to let you know.” Han Jie shuts the light, grabs hold of her wrist and takes her in the direction of his bed before he forces her onto his bed with a push on her shoulders and tells her he has been waiting for ‘this’ for a very long time. Han Jie takes his jacket off, comes at her and joins her on the bed. Han Jie’s intentions isn’t the suggestive kind that it appears to be, however. Han Jie’s intentions is to firstly have Fang Xiao Rou in his arms, look up towards a starfield ceiling and know to come to him whenever she wants to see a meteor to make a dream come true—because he will see to those dreams of hers and make them come true. And second, he wishes to return the favour to Fang Xiao Rou of finding a bit more about him with allowing her to explore around his room like he had done so when he was in her room. In Fang Xiao Rou’s exploration, she interestingly finds manga on his bedside table—all with a cooking theme. The most interesting find, however, is a book filled with 365 days of dishes that was inspired by Fang Xiao Rou on the year that she was abroad—a love letter of sorts for Fang Xiao Rou, Han Jie describes it. He speaks of allowing future patrons of their Olives House the opportunity to taste some of these dishes that he had created with all the thoughts he had of Fang Xiao Rou during that year she was abroad. Touched, Fang Xiao Rou expresses her desire to create desserts to accompany the dishes he created. Preparations for the national high school cooking competition is in motion. Those students wishing to participate in the national high school cooking competition are asked to come up with a creative dish to compete for the eight places available—to which will go on to have the opportunity to go into becoming the five students who will represent Si Ping High School at the National High School Cooking Competition. Wang Mai Zhi is more than interested in participating. When Liu Xuan asks her fellow classmates to come up to her to put their name forward, Wang Mai Zhi pushes to be the first one on the list. Wei Qi Zhen, on the other hand, isn’t at all interested in participating. She moves a couple seats over to make way for the students heading to Liu Xuan to put their names down. Wang Mai Zhi doesn’t let her be. He quietly calls to Wei Qi Zhen to sign up. Wei Qi Zhen tells him she doesn’t want to, waving the idea away and moves another seat over. Seemingly not wishing to raise his voice in front of the others to demand Wei Qi Zhen to listen to him, Wang Mai Zhi writes a note on his lined paper, scrunches it up into a ball and throws it to Wei Qi Zhen for her to read—’Weirdo Zhen, sign up!’ No luck again. Wei Qi Zhen waves it off and says she doesn’t want to. 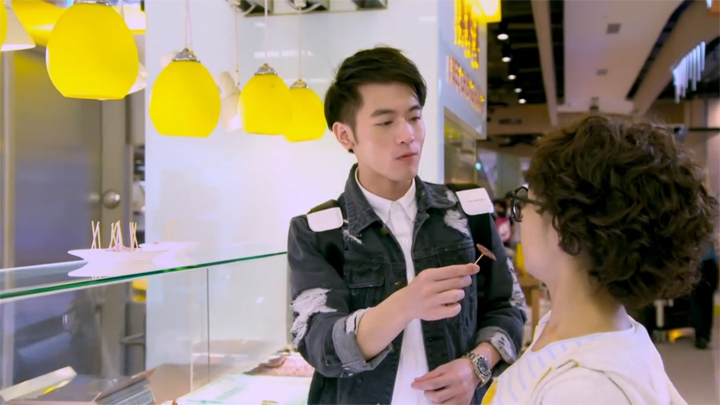 Though Wei Qi Zhen isn’t interested, Wang Mai Zhi takes it upon himself to put Wei Qi Zhen’s name on the register to participate. Wei Qi Zhen is only made aware of this when Wang Mai Zhi calls her to meet him up at a location on school grounds that has become their secret meetup place since the dance lessons and he tells her he has. To make sure Wei Qi Zhen doesn’t object to participating, Wang Mai Zhi threatens to have his driver empty her bakery’s stock of flaky pastry meat floss buns daily so her bakery would have none of this bakery item to sell to their customers. 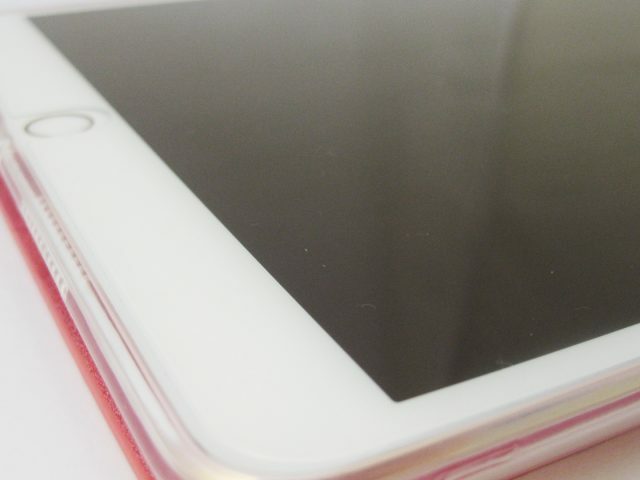 This keeps Wei Qi Zhen in line and cooperate. Wang Mai Zhi isn’t just a person who commands without offering rewards for her efforts, though. 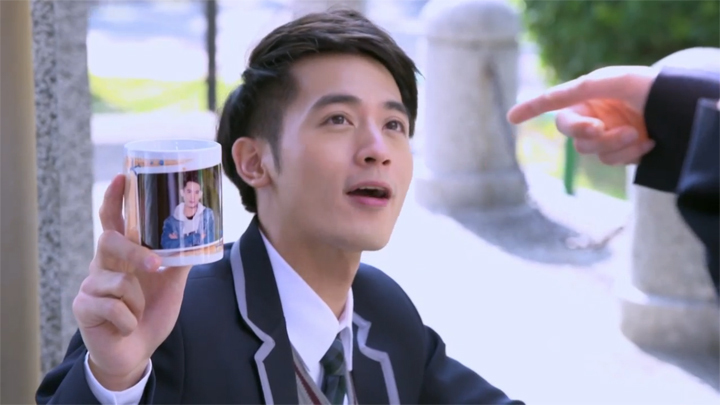 If Wei Qi Zhen performs well, she will be able to collect not only an autographed picture of himself, but also a folder, a desktop calendar and a mug—all with a picture of himself on and in it. There is the further chance to collect the reward of taking twelve selfies with him if she performs well. Wang Mai Zhi and Wei Qi Zhen meet up in the weekend. It’s a day’s outing in a shopping mall, visiting various eating places and eating food. All of this is in search for inspiration. 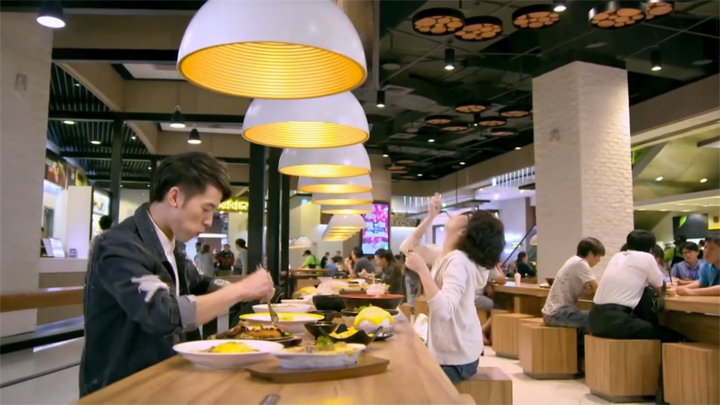 This outing together gets interrupted and cut short when, walking past the cake shop Wang Mai Zhi and Wei Qi Zhen is seated in, Kong Meng Zhe catches Wang Mai Zhi helping Wei Qi Zhen wipe her mouth off of cream after she clumsily bumps into the fork of cake Wang Mai Zhi held out for her to eat. Wang Mai Zhi is forced to leave Wei Qi Zhen and watch angrily at Wei Qi Zhen being amused by Kong Meng Zhe’s dancing and cartwheeling out on the streets after Kong Meng Zhe reveals to Wang Mai Zhi of his interest in Wei Qi Zhen and asks him to help give them the opportunity to get to know each other. It is something Wang Mai Zhi reluctantly agrees to do for Kong Meng Zhe after he wasn’t able make Kong Meng Zhe stop going after Wei Qi Zhen: Wang Mai Zhi could only say he likes those classified as the school’s beauty when Kong Meng Zhe asks Wang Mai Zhi if he liked Wei Qi Zhen; and he could only say again that he only likes those classified as the school’s beauty when Kong Meng Zhe comments on how his reaction appears like he likes Wei Qi Zhen after Kong Meng Zhe tells Wang Mai Zhi he wants to chase after Wei Qi Zhen and Wang Mai Zhi raises his voice in anger. 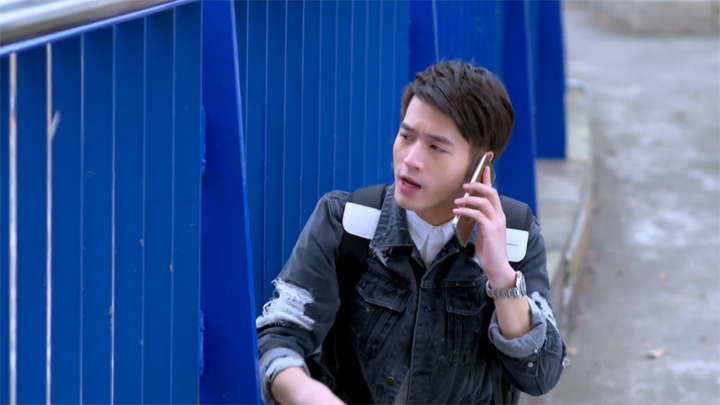 This opportunity that Wang Mai Zhi gives to Kong Meng Zhe to spend some time with Wei Qi Zhen is short-lived when Wang Mai Zhi undoes what he did with a call to Wei Qi Zhen. 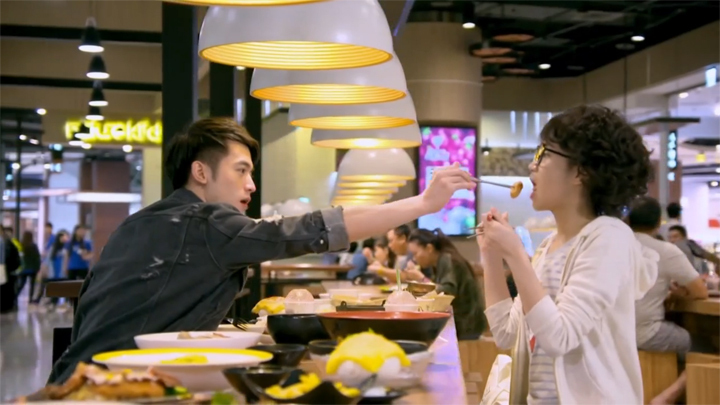 With the explanation of Wei Qi Zhen having not come up with a dish for the competition after eating so much food during their time at the mall, he commands Wei Qi Zhen to head home within ten minutes and spend the evening coming up with a dish for the competition. Wang Mai Zhi smiles proudly—satisfied when he sees Wei Qi Zhen running towards home even before she had gotten off the phone with him. 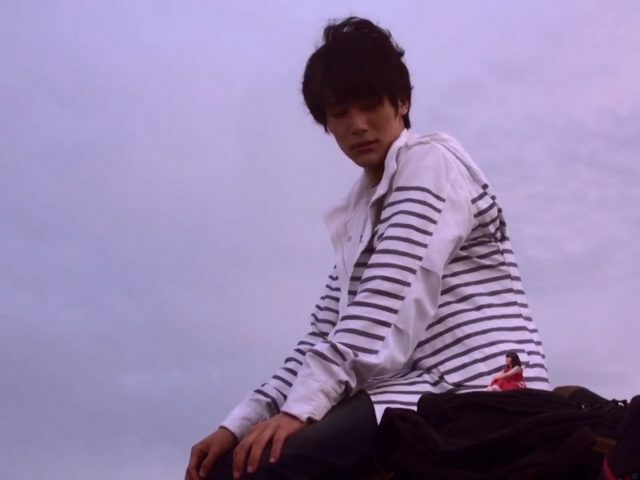 He turns his attention to Kong Meng Zhe expressing incredible disappointment of not having been able to begin putting his boyish charm on Wei Qi Zhen. Wang Mai Zhi sneers and says aloud, "Don’t even think about it." "If you don’t have a lot of money, I’m afraid you aren’t able to support me," Jiang Pei Ying says to Wen Zhen Yu. This has Wen Zhen Yu smiling. He has no trouble meeting this criterion that Jiang Pei Ying is saying he needs to meet. "Money, I have! I came to this school and teach simply to accomplish my dream. The salary isn’t much, but there’s no need to worry because I have properties in Australia, Dubai and France." Wen Zhen Yu goes on to make his case with telling her he will change the insurance beneficiary to her name if she accepts him. 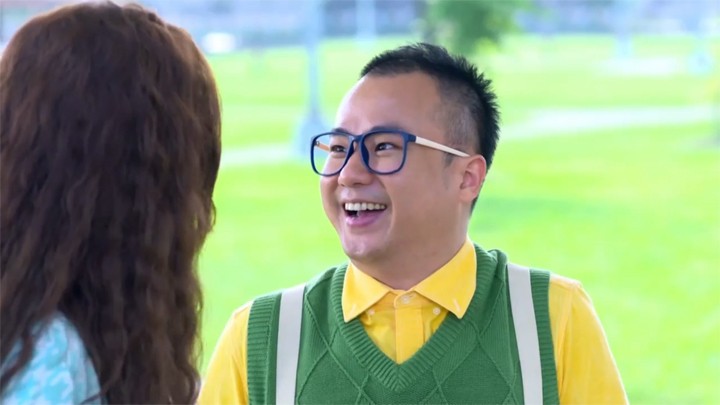 Jiang Pei Ying is shocked and immediately adds another criterion he must meet: fame. He needs to be a three Michelin star chef. This stumps Wen Zhen Yu. However, he asks Jiang Pei Ying to give him time to think about this one. Jiang Pei Ying agrees to give him that time, but adds it’s not a problem if he isn’t able to think it through. It simply means they aren’t fated. The criteria that Jiang Pei Ying sets for Li Zhi Chao is numerous. After Li Zhi Chao expresses how much he loves materialistic women, Jiang Pei Ying adds that he will need to lose weight, be skilled in an awesome mermaid rod (a parabolic fishing rod Han Jie was seen using in Episode 1 when Han Jie first meets Fang Xiao Rou) and have a six-pack. Jiang Pei Ying feels she is clever and is satisfied with providing impossible standards to meet to have Wen Zhen Yu and Li Zhi Chao fold and give up. However, she underestimates the two men’s persistence, will power and apparently immense feelings each of them have for her. When Jiang Pei Ying is at an outdoor rock climbing wall, she bumps into Li Zhi Chao rock climbing, working hard to become a hot guy with the six-pack she wants. 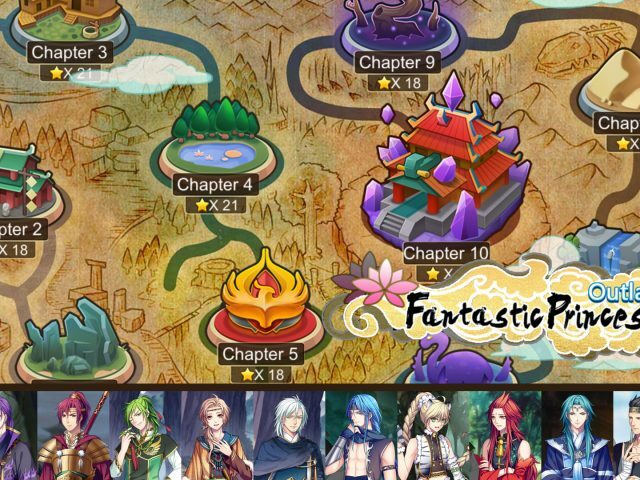 Wen Zhen Yu also shows up at the location. He tells Jiang Pei Ying that he will discuss with Han Jie about applying for the position of Executive Chef of Olives House. 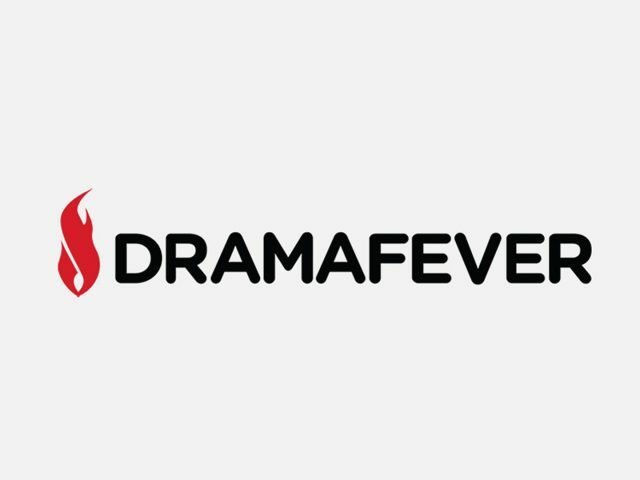 Though we have said we aren’t happy with how Wen Zhen Yu’s character has transformed throughout the series and become something like a comedic character in the world of the odd and eccentric supporting characters, we are finding the love triangle of this character, Jiang Pei Ying and Li Zhi Chao interesting. Wen Zhen Yu’s character actually reminds us of the protagonist in a really, really old Hong Kong romance-comedy film we totally love—The Fun, the Luck & the Tycoon (1990) starring Chow Yun Fat (Hong Kong actor who’s featured and starred in American films such as Anna and the King; Pirates of the Caribbean: At World’s End; and the award-winning film, Crouching Tiger, Hidden Dragon). The protagonist in the Hong Kong movie was quite comedic and eccentric. He lived in a small apartment above the restaurant he worked at and looked like a poor person off the streets who failed in doing all the most basic and common chores like washing dishes. His coworkers find him odd because he finds ordinary things interesting (e.g. he sticks his first bank note on the wall) and his boss doesn’t see him worthy of his daughter because he is poor. However, he’s not someone off the streets who’s stupid at doing common chores. It’s that he’s a tycoon who’s used to being waited on. He’s a rich person in a poor person’s disguise. 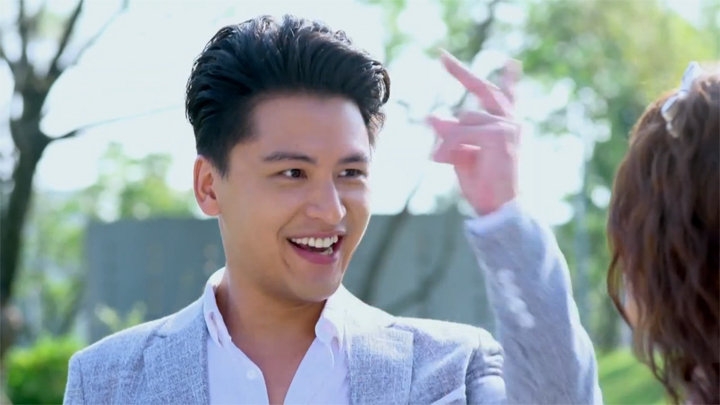 Wen Zhen Yu feels somewhat like this character: he seems to be very wealthy since he mentions he has properties in three countries, his profession is in food and drinks (the Hong Kong character was a tycoon, but he worked in a restaurant for the entire film), and his personality is comedic and eccentric. This love triangle of Wen Zhen Yu, Jiang Pei Ying and Li Zhi Chao has piqued our interest. With the criteria that Jiang Pei Ying has set for each of them to have a chance to win her heart, it seems Wen Zhen Yu has more of a chance when the only thing Wen Zhen Yu has to meet up to is being a three Michelin star chef. Wen Zhen Yu has already shown he is capable of producing a high quality dish—one that can actually match Han Jie’s. 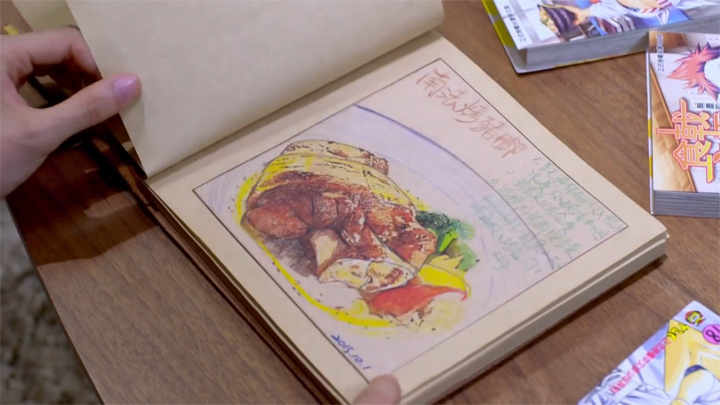 This was shown to be true in Episode 1 when Wen Zhen Yu and Han Jie had a cook off and Wen Zhen Yu’s dish was judged by one of Han Jie’s restaurant friends to be as good as Han Jie’s and vice versa. Wen Zhen Yu’s method of meeting up to Jiang Pei Ying’s criterion of being a three Michelin star chef, we weren’t very fond of. Wen Zhen Yu said he will discuss with Han Jie about letting him take over Olives House. 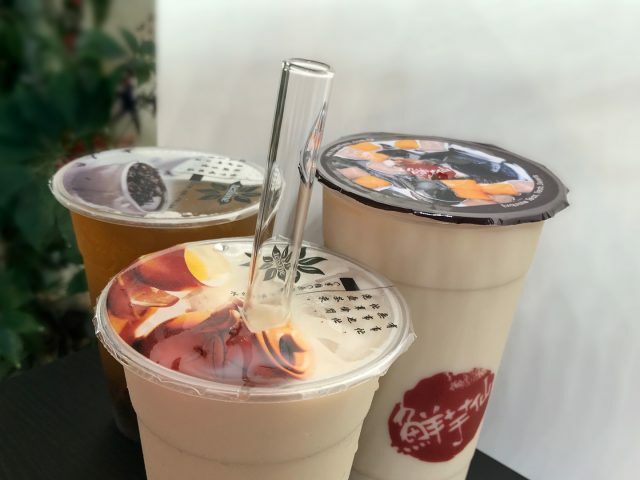 Whether or not this is a hint to being the solution to Han Jie’s problem of wanting to stay in Taiwan to be with Fang Xiao Rou and not have to give up Olives House, we prefer Wen Zhen Yu to meet this criterion of Jiang Pei Ying’s with his own restaurant. We imagine this wouldn’t be the solution to Han Jie’s problem, though. If this was the solution, wouldn’t this be Han Jie giving up Olives House?—unless, Han Jie is forced to give up. 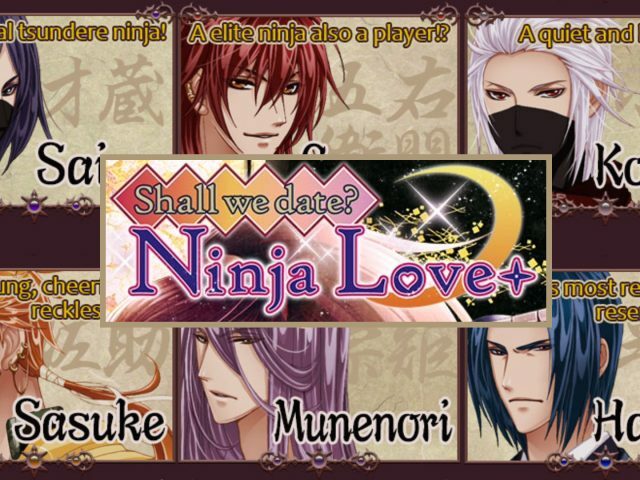 If this happens, then Wen Zhen Yu can obviously take over Olives House. Is there a possibility that we will see Han Jie being forced to give up Olives House? The Han Jie and Fang Xiao Rou parts—when watching the scenes leading to up to the date in Han Jie’s room, we felt like they were there to just give the lead couple their screen time and fill them up with some romantic scenes. But then the scene of the date came. We were like— "Oh, that’s where it was going! 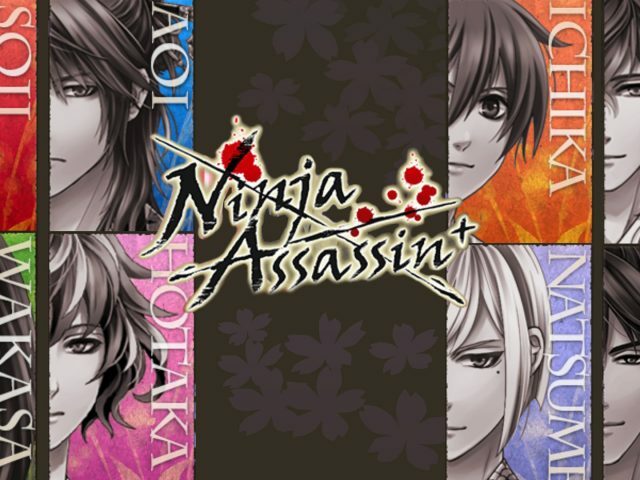 There was a purpose and it’s really good!" It was a great surprise to see these scenes that appeared like simple fluff build to character and relationship development scenes that has purpose and substance. It was good. This date scene in Han Jie’s room gave us a lot of information on Han Jie’s character. We got to hear how he passed each day during the year that Fang Xiao Rou was abroad! It was a sweet scene. At the end of this date scene, we were going ‘awww’. 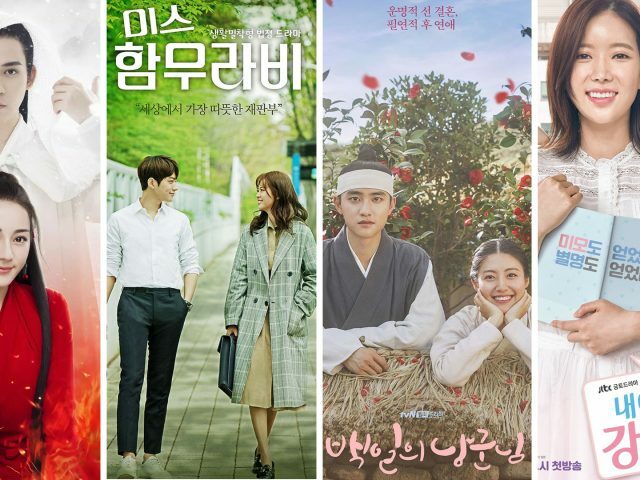 We thought it was really cool to finally see the English title of the series, Love Cuisine, mentioned (The Chinese title for this series is actually Culinary High School Students) . 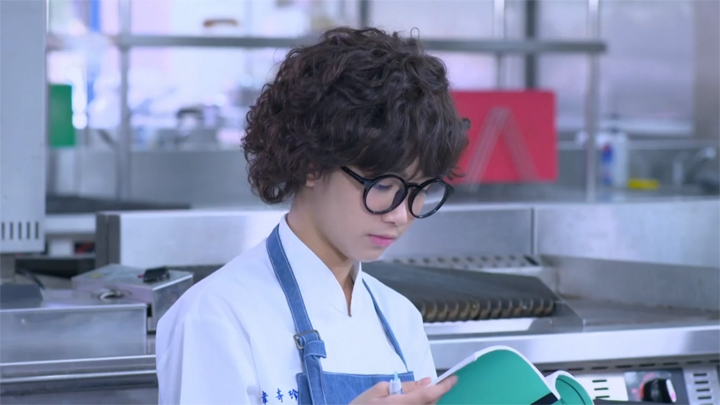 It was when Fang Xiao Rou finds the book with 365 days of dishes. It was mentioned when Han Jie talks about the Olives House he has been talking about setting up in Taiwan. When he says he plans to have some of these dishes on offer for their future patrons, Han Jie calls these dishes, ‘Han Jie and Fang Xiao Rou’s love cuisine’. Great way to bring in the title, we thought. Though the Han Jie and Fang Xiao Rou parts came to a very aww-worthy point, we still find that we’re not enjoying these parts as much as the Wang Mai Zhi and Wei Qi Zhen parts. 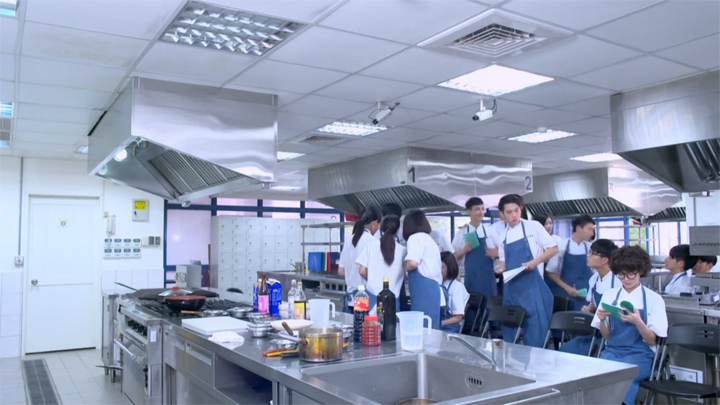 The entire outing where Wang Mai Zhi goes helping Wei Qi Zhen get inspiration for the dish she needs to come up with to have a chance of being part of the team heading into the national high school cooking competition, it looked so much like a date! It was a montage that was filled with quite a lot of Wang Mai Zhi feeding Wei Qi Zhen—three times we think it was! Then there was the moment of Wei Qi Zhen majorly slipping with eating her dessert and getting a fair bit of cream on her mouth and nose and Wang Mai Zhi goes to wipe it off. 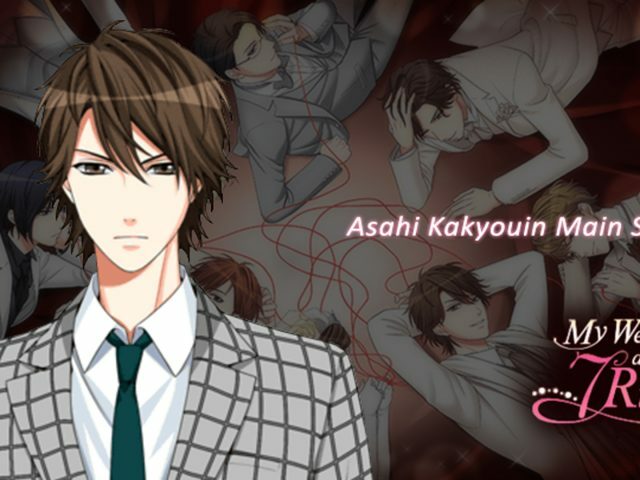 It’s a typical moment, but a must-have moment for all pairings that aren’t together yet in all romance-comedy series! It was even more awesome when Kong Meng Zhe walks past and spots it then tells Wang Mai Zhi he’s interested in Wei Qi Zhen. That really showed us that Wang Mai Zhi does have feelings for Wei Qi Zhen! But it was too short! It’s always too short when a love rival enters into a pairing where the guy doesn’t realise he has feelings for the girl! We’re excited to see what it’ll take for Wang Mai Zhi to realise his feelings (he looks to not know he has them) and act on them! 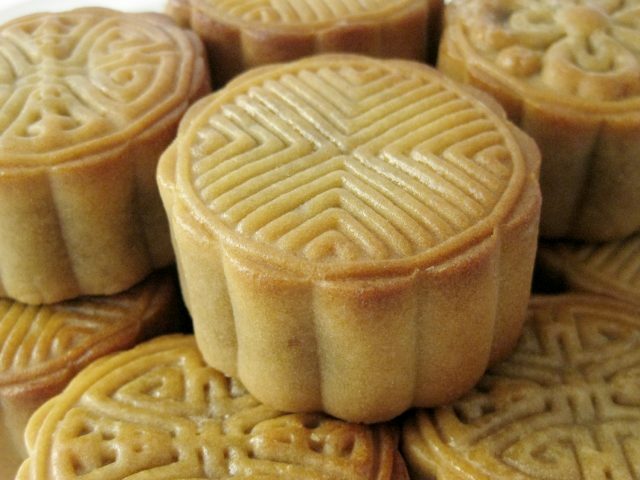 Before the date-like outing, when Wang Mai Zhi had to threaten Wei Qi Zhen agree to compete in the competition with getting his driver to purchase all her bakery’s flaky pastry meat floss buns every day, we didn’t think it was much of a threat. We thought it was a good thing, really. Wang Mai Zhi buying the buns everyday, it’s certainty in selling out that particular item everyday. He said that it would mean her bakery’s other customers won’t ever be able to buy it, but she could make this item be on special order and provide the explanation of it being extremely popular! That way, Wang Mai Zhi can’t possibly buy these ones! But no, it’s good that Wang Mai Zhi forced Wei Qi Zhen in this way. She’ll be better off in the long run with learning new skills. And, competing in the competition means more time she can spend with Wang Mai Zhi. It’s probably why Wang Mai Zhi wanted Wei Qi Zhen to participate as well. It’s so he can find valid excuses to spend more time with her! Awesome! :oP :oP. The last scene of the episode where Fang Xiao Rou receives a call, who could possibly have called her and what made her look so surprised?! We hope it’s nothing serious! A little worried with this one. What is “Item is Pre-Advised”?